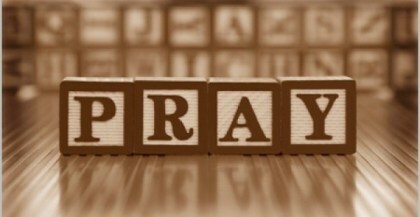 Do you have a prayer request? It would be my honor to pray for you! Just leave your prayer request in the “share your thoughts” section below and I will start praying for you. If you are a praying person and feel led, please join me in praying too! Things are moving forward, Hannah! We are still seeking Him and we are feeling like things are going to be happening soon! Wanted to let you know. ❤ Thank you for praying. Please pray for my husband and I as we are praying for the Lord to bless us with Baby #2. We have been trying for the last 7 months and I have been struggling with worry and doubt. At the same time, God is teaching me so much about contentment, praying confidently, and waiting on Him. I am thankful that He even uses our struggles for good! Thank you Amy for sharing your heart and I will be praying for you and your husband. This is a near to my heart topic that I can relate with, so just know that you are not alone and I will be keeping you close in prayer. I know God smiles down on you for drawing near to Him and trusting Him in the midst of the waiting. And you are so right…He does use our struggles for good! So glad you came by and keep me posted! I just recently got laid off and I ask for prayer so that I can find a job soon. I’m so sorry to hear that. I will be praying God gives you peace in the waiting and provides a new job soon. Thanks for reaching out!